Hi folks. New comics posts are going to be delayed a couple days this week since I’m wrestling with finishing up some Pathfinder illustrations, but in the mean time here are a couple of things you can scope out in lieu of new Imaginary Monsters comics. My friends Albert Birney and Jon Moses have been working on a new independent film for a little while and they started a Kickstarter page to get them over their final production hurdles. Please check out the trailer (on the Kickstarter page) and contribute if you can. Support independent (awesome) films grown in Rochester! A collaborative webcomic site featuring the work of some stellar California cartoonists. This page is the home of Luke Luke Cormican and Katie Rice’s she-barbarian comic Skadi, which I admire! 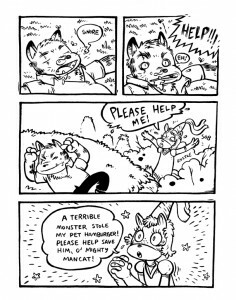 If you like the humorous fantasy elements in Imaginary Monsters you’ll most definitely enjoy Skadi. aidosaur is Yuko Ota, a girl I went to college with. I only actually met her briefly there but I was blown away by her drawing chops. Now I get to see her most times I go to comic shows and conventions in NYC. Her work is solid!!! If it’s o.k. with her I want to include her drawing of Lizard Wizard in the future Fan Art section I’m going to build. + http://aidosaur.livejournal.com/198844.html – look towards the bottom for an awesome Lizard Wizard she drew! I met Chris McD at MoCCA this Spring and gave him a handful of Imaginary Monsters stuff. Lo and behold, he did a post about some of it! Thanks Chris! I picked up the MEATHAUS GO FOR THE GOLD! 3 sketchbook and I love it. There’s some crazy stuff in there by Robert Ryan Cory, and awesome surprises like Chris McD’s “Hippy Sniffer”. Role Playing Public Radio podcasts! I can’t wait to check these out at work tomorrow. They gave Imaginary Monsters a shout out along with Episode 44. I’ll definitely pass this along to our Sunday Gaming Gents group. That’s all for now. Thank you for reading and for passing the word along everyone! New comics should appear this week. For now I’m headed back to Photoshop to render some more monsters. Stay cool! 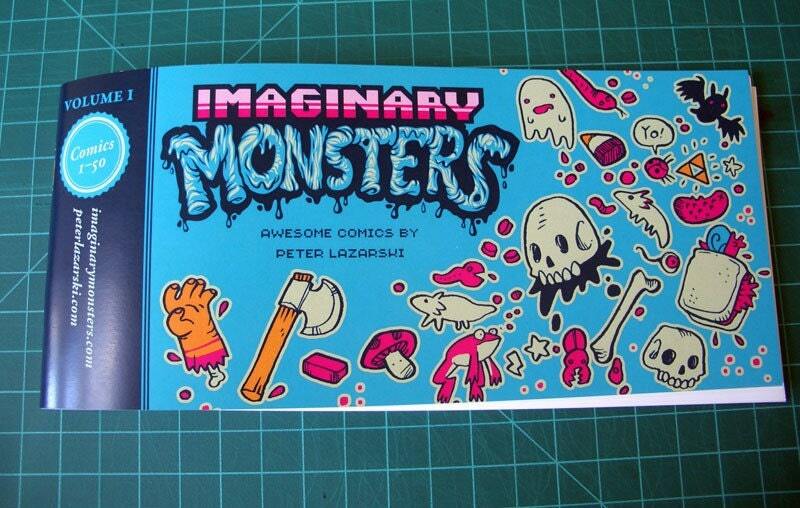 Imaginary Monsters volume 1 on Etsy, dudes. I should be posting some green Grizzledude t shirts (sizes S, M, and L) tonight or tomorrow too. If you’ve ever said to yourself “Wow, I really like this comic and I would love to hold it in my hand” or “Wow, I really like this comic and I would love to indirectly buy Pete a sandwich” now you have that choice. I’ll post about the Grizzledude shirts when they are up too. Thank you for reading and enjoying as always. Heads up people! I’m going to be exhibiting with Mike Turzanski at the Buffalo Small Press Book Fair this weekend. If you live near Buffalo, please stop by! Tell your friends too. The show is free to attend. 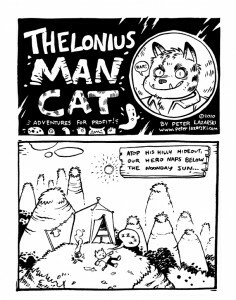 I’m going to have copies of the collected Imaginary Monsters comics Volume 1 (strips 1 through 50), Thelonious Mancat 16 page mini comics, Eat World, and some prints and posters too. I might be offering super discounts on screen printed posters too, so check that out! Comic book artist Peter Lazarski walks comic enthusiasts through the creation of his own comics, the joys and hardships of self publishing, and hosts an impromptu forum for other comic artists to discuss their own creative process and endeavors. The complete Buffalo Small Press Book Fair workshop schedule can be found here. Mostly I’ll be hanging out and drawing for 45 minutes and talking about comic stuff, so bring your sketchbooks and come hang out with me! Also, I’m hoping to return to making webcomics in early April. I’ll keep you posted. Hey folks, just a heads up so as not to keep you hanging. Comic updates are going to be here and there for the next 5 weeks or so. I’m currently working a part time job, teaching four nights a week, and working on some shirt designs and a new 24 page comic for Angry Penguin, so I’m getting spread a little thin. I’ll try to put together a few comics in the meantime. Now’s a good time to get caught up on the story, or go read some other quality webcomics, like www.littlegardencomics.com and www.sugarbabiez.net. 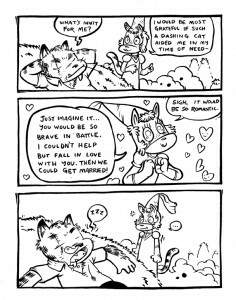 Or you can head over to www.theangrypenguin.com too and read some other comics that I have done for those guys. Be brave, enjoy the Spring season and I will be back soon! Thanks to everyone for reading and having a good time. Good morning! Tonight is going to be a two comic night since I missed yesterday’s comic (I was playing pool and talking about Dungeons and Dragons with my buddy Dan). 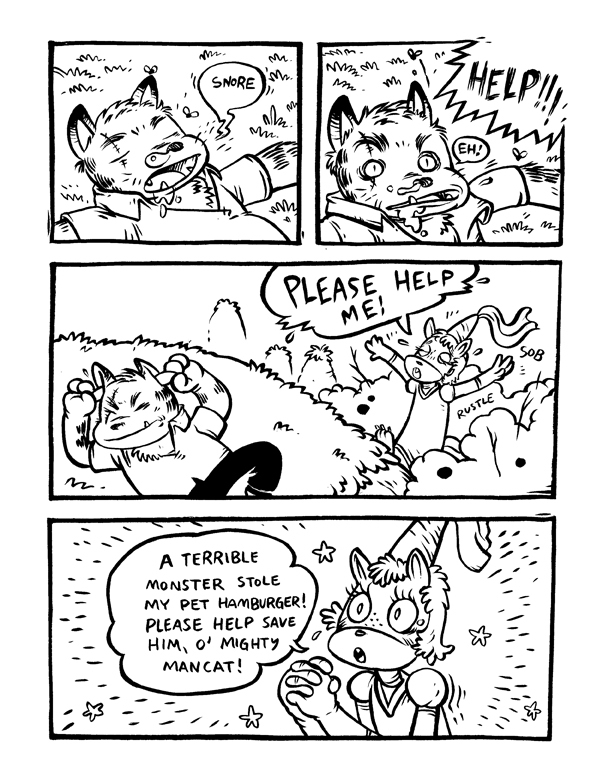 In the meantime though I wanted to share some non-Imaginary Monsters comics I’ve been working on with you. Last Spring at the MoCCA Festival in New York I met Kristin from Uncle Envelope. She does this cool subscription zine/mini comic service for kids (or anybody really) where you subscribe and she’ll send you something awesome every month by guest artists and whoever. We saw each other again at the Brooklyn Comics and Graphics Fest and she asked me if I wanted to contribute. 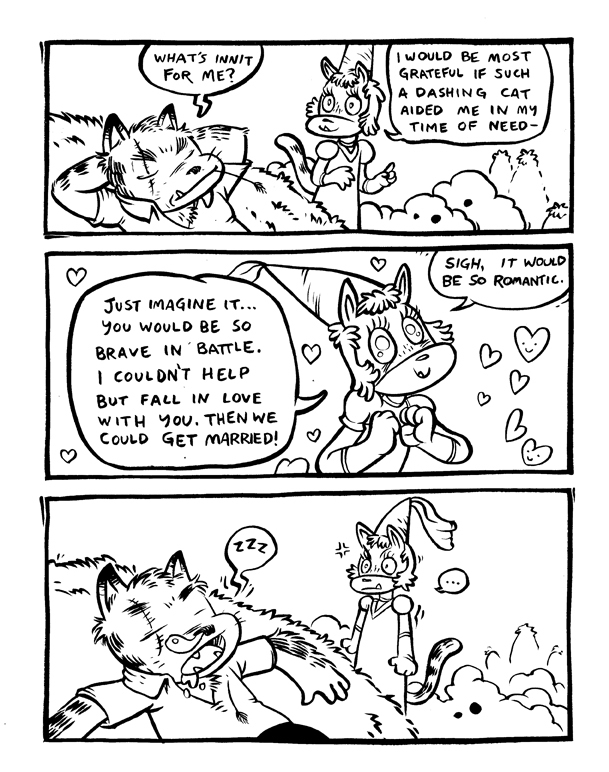 Of course I said “YESSSS!” My comic will be featured this month, as I am Mr. March. 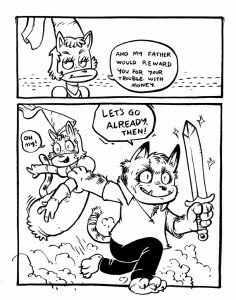 So I made a comic based on my/Marlene’s cat Monk called “Thelonius Mancat”. 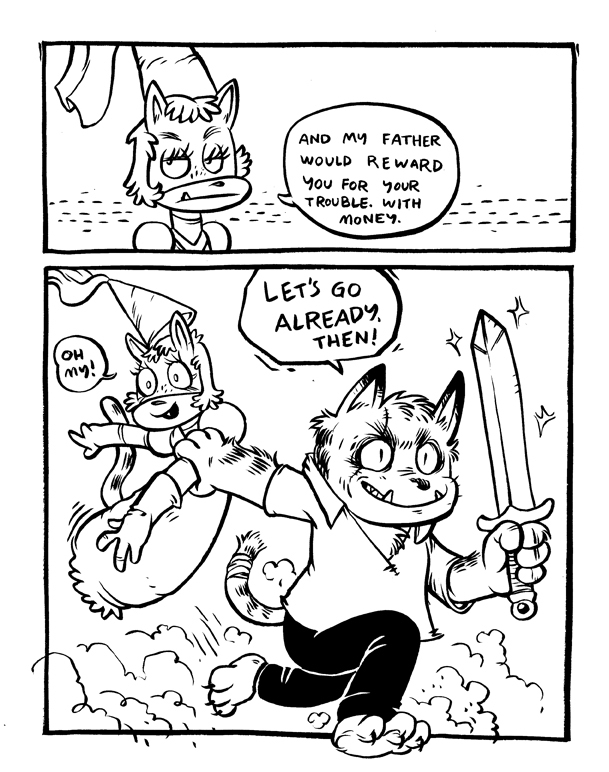 He’s a greedy and self serving sword wielding adventurer. You can check out the first four of sixteen pages now. 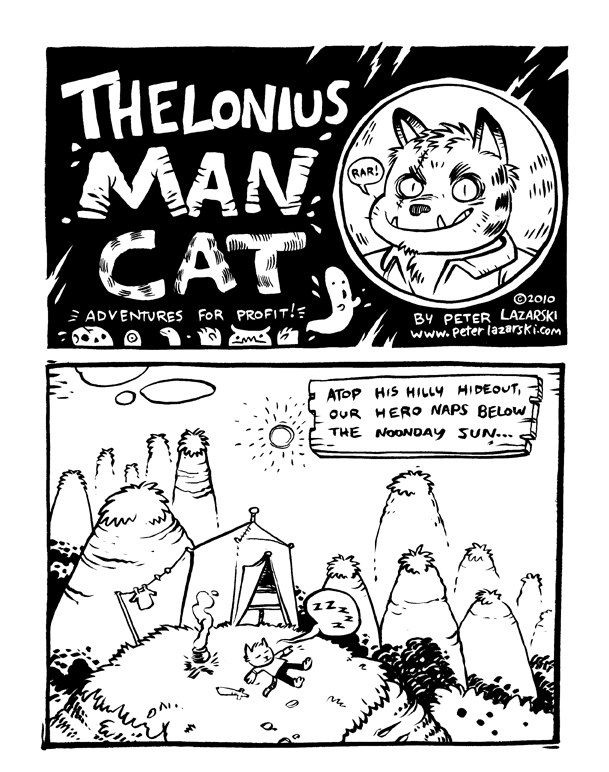 If you want to read more, go to uncleenvelope.com, subscribe, and tell Kristin “I want to read Thelonius Mancat comics!! !” Also, tell her I sent you! Ha! Thanks as always for checking out my stuff! Hey everybody! I’m going to take a couple more days off from the comic until next week. I hope you had a good holiday and your new year is off to a solid start. See you again on Monday.